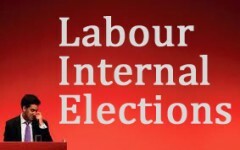 The results of the elections for constituency representatives on Labour’s national executive show no change in the political composition compared with the current membership, the only change being that Peter Wheeler replaced fellow right-wing slate member Luke Akehurst. However, since Johanna Baxter replaced Oona King immediately after the previous election, this represents one lost seat for the right-wing Progress/Labour First slate, who also won only 32.8% of the votes compared with 47.3% for the Centre-Left Grassroots Alliance and 19.9% for independents. In a much lower poll (which had been expected since the last election coincided with a leadership election) the relative position of Left and Right did not change much, although the positions are not easily comparable since there was no agreed Left slate in 2010. The Left remained dominant, with its share at 47.3%. In a first past the post election it is perhaps surprising that this yields only half the seats – which is because its votes are more evenly shared by its candidates. Incumbency, “independence” and being a non-Londoner were all factors which favoured election. All the established candidates in the top 9 places (apart from Ken) share the personal comfort that their personal share rose. Ken’s vote, though it did drop (by less than 4%), held up remarkably well – much better than predicted. Perhaps the most remarkable vote was that of Kate Osamor who very nearly got elected at her first attempt – missing out by only 124 votes. Expect to hear more of her. An analysis of the National Policy Forum elections will follow shortly. Has Grassroots Labour managed to prise a commitment from Ken Livingstone to report back? I’m glad to see the left win again, but why can’t we take control of the leadership?